Changing the look and feel of the iOS UI, swapping out interface assets for additional artwork and overhauling the lock screen Notification Center are just a few areas within the jailbreak world that are growing in popularity daily. Themes and Notification Center widgets are littered throughout Cydia, which is the main reason why it’s always great when something like NCWeather comes along and injects energy and elegance into Notification Center. As the main might suggest, NCWeather is a weather based widget that makes itself at home directly in Notification Center. iOS device owners can drag down the iOS 7 Notification Center to see a relatively decent looking overlay view that is populated with bland and uninteresting data from the default Weather and Stocks apps that ship as part of iOS 7. NCWeather is a great answer to that boring weather data which brings forth a clean, bright and beautiful information directly to the main NC interface with no additional work needed. As you might expect from anything related to weather, the current weather conditions and temperature are immediately available for the current location of the device when Notification Center is accessed. The package also goes a little deeper by offering the hourly weather with a five-hour advanced prediction. The same information is extrapolated out across a five day period, meaning that it’s possible to get a fairly accurate understanding of the expected weather conditions for the week ahead. All of the information that NCWeather provides is accessed with a simple tap gesture that intelligently flicks between the necessary views. 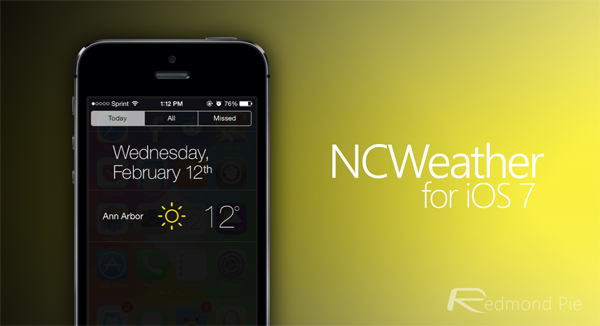 NCWeather may find itself joining the legions of weather based offerings that already exist for jailbroken iOS devices, but something tells us it will manage to hold its own place in an already-packed market. The visuals of the package, mixed with the ease of use and simple setup means that it is a must-have for anyone looking to go beyond Apple’s own weather based Notification Center implementation. 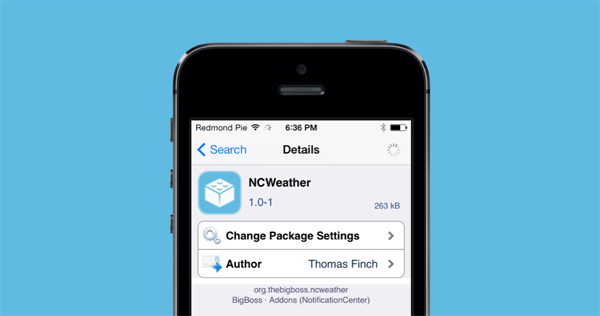 NCWeather is a commercial package, available as a $0.99 purchase from the BigBoss repository. The package is compatible with all jailbroken devices running iOS 7.0 or higher. 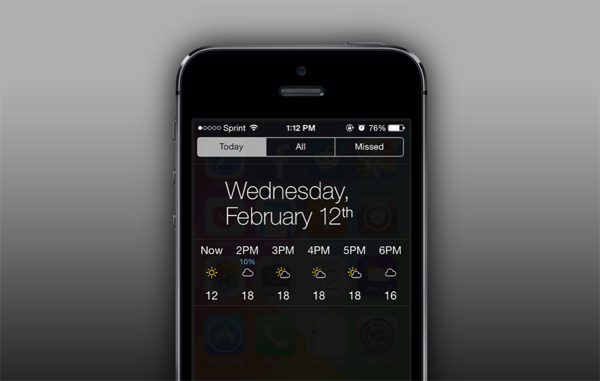 If you’re willing to take your weather updates a little further, then do check out the Status Weather tweak, which brings weather updates to the iOS 7 status bar. Furthermore, if you want weather updates front and center on the lock screen of your device, then check out the iOS 7 LockScreen Weather tweak.